Marin county AEDs is now a distributor of AED’s also known as defibrillators. 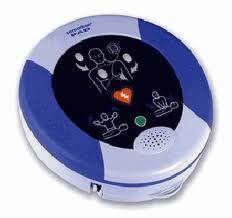 AED stands for Automate External Defibrillator. AEDs are very accurate and easy to use. With a few hours of CPR Training, anyone can learn to operate an AED safely. There are many different brands of AEDs, but the same basic steps apply to all of them. The AHA does not recommend a specific model. We offer classes in our classroom in Concord, CA or we can teach classes at your site in the East Bay. What’s the AHA position on placement of AEDs? It’s important for the local Concord EMS system to know where AEDs are located in the community. In the event of a sudden cardiac arrest emergency, the 9-1-1 dispatcher will know if an AED is on the premises and will be able to notify the EMS system as well as the responders already on the scene. Why should a licensed physician or medical authority be involved with purchasers of AEDs? Your local EMS system can help you find out about local and state protocols and requirements for AED training and use. The police are the first responders in my community. Officials are reluctant to have them carry and use AEDs for fear of potential litigation. What legislation is currently in effect to protect first responders who use an AED? If the person is a trained and licensed medical first responder (MFR), an established standard of care is outlined in the law, and those operating within these guidelines are protected under these laws. These same guidelines pertain to the personnel in your EMS system. If they are not trained and licensed MFRs, check the state laws to determine if lay rescuers are given limited liability immunity. If not, they may not be protected from litigation. Agencies should seek legal counsel before implementing a defibrillation program. California has a senate bill called Senate Bill 911 which protects rescuers while using an AED. The price of an AED varies by make and model. Most AEDs cost between $1,500–$2,000. Safety Training Seminars sells the Heartsine AED which costs $1295. Children over age 8 can be treated with a standard AED. For children ages 1–8, the AHA recommends the pediatric attenuated pads that are purchased separately. Which AED model does the AHA recommend? The AHA does not recommend a specific device. All AED models have similar features, but the slight differences between them allow them to meet a variety of needs. The AHA encourages potential buyers to consider all models and make a selection based on the buyer’s particular needs. The local EMS system can help you with this decision. There are many different companies that sell defibrillators such as: Zoll Medical, Philips Heartstart, Cu Medical, Defibtech Lifeline, Lifepak, Powerheart AED, and a few others. However, our favorite is Heartsine. How can I enroll in a CPR or AED class? The American Heart Association offers CPR and AED training through its network of Training Centers. Classes are offered in Marin County in Novato. What kind of training on AEDs is available? The AHA has developed a new Heartsaver AED Course that integrates CPR and AED training. The course is less than four hours long.